Advantage of shifting your Household good with cloud packers and movers! Cloud Packers and Movers, with their services, gained a good fame in short time and became popular in Bangalore and many other cities in India. The aim of this organization is to become the top movers and packers service provider in Bangalore and it always strives to achieve the goal with quality services, honesty, commitment, and customer relationship. It is really hard for anyone to shift their house alone to a new place without any help or support. The trained and qualified staff of Cloud Packers and Movers does packing and moving goods in a proficient way in no time saving your energy and time as well. Packing everything is a stressful job for the busy people and booking a normal vehicle for moving goods is really a bad idea as they don’t have the latest equipment and don’t take any responsibility for the damage. But, we, Cloud Packers and Movers deliver the goods on time and take the whole responsibility for the goods damage, if any. Within 2 years, Cloud movers and packers experts in the door to door delivery of goods without creating a minimum loss to customers. Relocation needs a lot of planning which is generally not easy for the people and it can be done only through professionals in shifting service. Cloud experts are best in planning for relocation in no time. The team of Cloud movers will take care of checking which vehicle is suitable for moving your goods, depending on the goods size and distance. With the modern equipment, your goods will be packed safe that avoids any damage. If you want to move your office to a new location, it is even hard than shifting a house as everything in the office should be packed carefully without any missing and damage. The professional team of Cloud Packers and Movers take care of all your computers, files, etc while shifting your office to a new location. Along with packing and moving, Cloud Packers and Movers also offer loading and unloading services to make customers relax and do their other works. 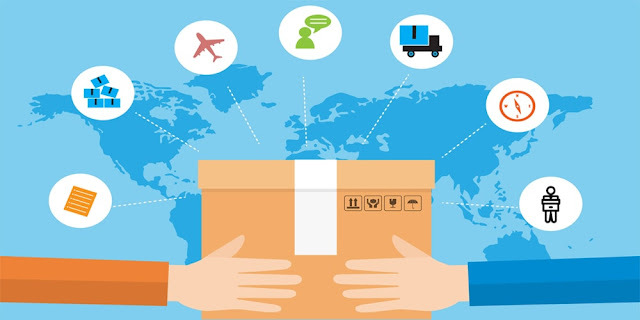 The team of Cloud ensures everything was packed safely by making use of cellophane sheets, bubble wraps, waterproof cartons, corrugated boxes and cello tapes and your goods will be sent to your new location from old, only after locking and sealing. Transparency is our primary policy and it is the first thing that made customers to trust us. There will be no hidden charges under terms & conditions as our support team will make you clear about everything before starting with us. The first preference of Cloud Packers and Movers Bangalore is always customers and it is our responsibility to provide services without any discomfort. Our expert team not only helps you in packing and moving but also with rearranging and assembling the furniture at proper places in your new location. As Cloud company have a huge team, we can allocate enough members for your relocation to support you in placing your furniture and other goods in their places. Generally, it takes a lot of time for packing, loading, moving, unloading the goods, and assembling them in right places. But Cloud global with their experience and perfect planning make everything in short time for the affordable price. People often confuse of different charges for the services from different packers & movers service providers. The reason is the quality, comfort, commitment, assurance, and safety. We, Cloud Packers and Movers, provide all the facilities and maintain transparency from the start to end. Cloud Packers and Movers will make you sit at your place and watch everything or you can even go to your office or gym, anywhere you want as there is no need to waste time in packing and moving. We know time is precious and no one likes to waste it on home or office shifting. Though people try to pack everything on their own, there will be always something missing while shifting the place and here Cloud help you with their planning. Insurance coverage for shipping the items is one more advantage you can have with this company. If any damage happens to your goods while transport because of an accident to the vehicle, you can get insurance money, so there will be no loss with Cloud Packers and Movers in any situation. There are numbers of packers & movers service providers across the country but the reason for Cloud is becoming successful in a short span of 2 years is its dedication, transparency, quality services, and commitment and this is all customers expect from any service provider. There is no need to come to our office to book the services of Cloud moving service, just a phone call is enough for us to take care of everything, or else you can contact cloud packers Bangalore for all your shifting needs.